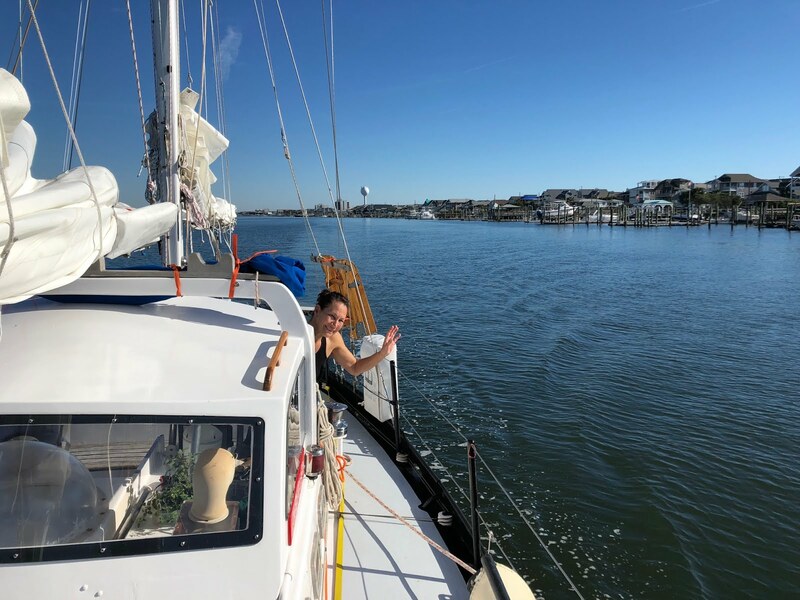 We had a fast, if bumpy, offshore passage from Beaufort down to Wrightsville Beach. Dozens of southbound boats, including lots of Canadians. But we found a spot to anchor, launched the dingy, buzzed over to the town dock, and Ubered to Harris Teeter for some much needed provisions. Now we are headed down to Southport where we were lucky enough to score a dock in a marina. The marinas are mostly sold out, and there are no good anchorages down there, so we were lucky. Petronella seems to be in great shape. We were able to test the Aries on the way down and it performed perfectly. So nice to have silent steering while sailing! Next Up: We've Been To France!